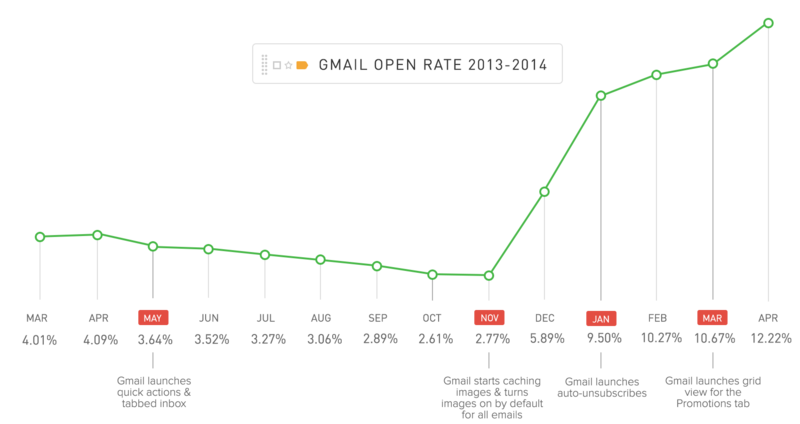 Gmail kept email marketers on their toes this past year. Between the introduction of a tabbed inbox, changes to how images are displayed, and the Promotions tab grid view, the entire email marketing world has been freaking out. In this book, we’ll look at the latest updates to Gmail and figure out, once and for all, whether email marketers need to be worried about the evolution of one of the most popular email services in the world.